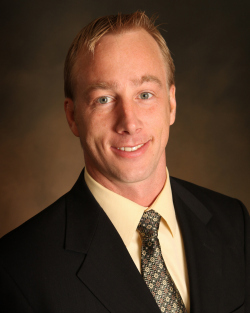 Graduating in 2001 from Palmer College of Chiropractic, Dr. Egeland completed his residency in Chiropractic Radiology. While at Palmer, he was the recipient of the Clinic Extern Recognition Award and was on both the Deans and President’s List. His desire to join the Ireland Clinic of Chiropractic, LLC team and his love for the outdoors brought Dr. Egeland to Alaska, where he met his wife, Tiffany. They have two children, Cody and Kylee, and enjoy spending time experiencing Alaskan adventures together. Dr. Egeland is dedicated to providing quality, personalized chiropractic care so that each patient can achieve optimal health. He’s enthusiastic about helping patients like you reach your full potential through chiropractic care. In addition to his many professional accolades, Dr. Egeland continues to be active in sports and has won the Alaska State Judo Championship numerous times. Dr. Egeland looks forward to helping you improve your quality of life. To learn more about how chiropractic care can help, call our Anchorage chiropractic office today.